Will Math Be A Part Of Everything In The Universe? Most students are afraid of math. Why do we need to learn math and score good marks in it is a common question among students. Well… Here’s is the answer! Mathematics is the study of quantity, structure, and change. Hey! Still confused? Math is just as important when you go to buy a burger. The subject teaches you to calculate the price and take the exact balance from the seller. You might be playing a game with your friends and need to measure or count something. You may need to party with your friends within a limited budget and share food. Math will help you to calculate the number of members and divide things accordingly; so that each enjoy equal share. Tutor Pace is an online tutoring website providing a panel of online math tutors. They are experts and proffer 24/7 service for all your mathematical assistance. 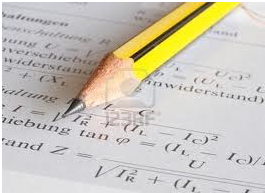 Online math homework, online math test preparation is now just a click away! There are graphical images to give you a clear understanding of addition, subtraction, multiplication, division, fraction and many more. You can attain a free demo session with our website. Internet learning allows you to click and have fun!